Under the loving but firm guidance of an old fan turned director and cultural diplomat, and to the surprise of the whole world, the ex-Yugoslavian now Slovenian cult band Laibach becomes the first rock group ever to perform in the fortress state of North Korea. Confronting strict ideology and cultural differences, the band struggles to get their songs through the needle’s eye of censorship before they can be unleashed on an audience never-before-exposed to alternative rock’n’roll. Meanwhile, propaganda loudspeakers are being set up at the border between the two Koreas and a countdown to war is announced. The hills are alive… with the sound of music. The enigmatic figurehead, the hidden strategist behind the throne, the elegant first lady, the loyal footsoldiers, the secret and merciless power struggles backstage, the symbols, the uniformity, the screaming millions of followers : Dictatorship or rock band? Nürnberg rally or Band Aid? 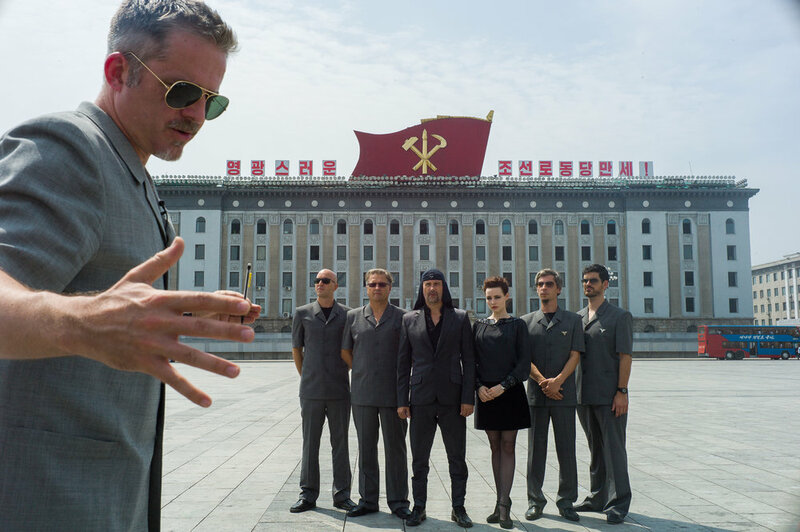 Having built trust, through years of border-expanding collaborative art performances with both Laibach and North Korean authorities separately, it seemed worth the try to bring them together. After all, as a theatre director, you don’t get to work with actors and venues like that every day, or even every lifetime. Music has always been the most magical element of my creative life, the most potent, abstract and emotional tool that a filmmaker can have in his arsenal. And now I have this film which is built like a rock song itself. An energetic, lively seed, ripened in the soil of an exotic event and watered in a collective effort of a band-like entity. Magnified in the larger-than-life reality of the film screen. "Funny, thoughtful, knowingly absurd study of contrasting aberrations"